At the end of the 18th century the Government began to take notice of fraternities. Because of the American and French revolutions they were suspicious that fraternities hid nests of revolutionaries. 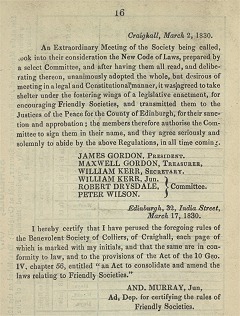 The Friendly Societies Act of 1793 attempted to licence (through registration and regulation) friendly societies (a good thing) at the same time as outlawing trades unions (a bad thing). It was an unworkable piece of legislation. It did promote a surge of documents and paperwork as societies rushed to publish constitutions 'under the act' and demonstrate their 'loyalty'. Luckily, many of these survive as a valuable resource today. Later acts refined the registration process and by the late 19th century Britain had nearly 30,000 friendly societies both large (over a million Oddfellows) and small (a few score members). Some friendly societies had no ambition to grow. Cow societies (where a rural worker's cow was insured for a year) and burial societies (which provided a funeral grant) were common and popular in rural parishes. But others offered a wide range of benefits and needed a large membership to cover costs. For a period there were frequent failures and friendly societies in general were in danger of getting a bad name. The problems were to set benefits at a sustainable rate and to recruit enough new members to keep the society going. The strongest societies hit on a method that meant they grew at the expense of others. They became stronger financially and had more information to use to set benefits and contributions. So they got even stronger. The trick was to licence or charter new branches or lodges in different places that conformed to the parent lodge. Every member's benefits were supported by every member's contributions. The more members there were, the better it worked. 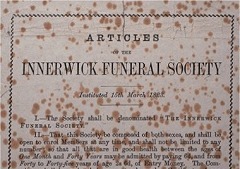 To win members, such a society had to have popular appeal. It worked best if the society promoted social activities and gave members a sense of belonging to a brotherhood, all united for their mutual benefit. So they wrote their own histories, showing how they had existed from the distant past. They invented rituals and secrets that only the members shared. They developed costumes, songs and stories that bonded the members together, that they could share, that they could have pride in. Most of the affiliated friendly societies, as they were known, were essentially democratic organisations. Lodges could often set up their own special funds, provided their district or order contributions were paid. They all organised their own social events. Men gained experience in running lodges, in committee work and organising public events. Any member prepared to invest the time might rise to lead the society. Others benefited from fees paid for acting as secretaries, collectors and treasurers. Some of these eventually became full-time positions. 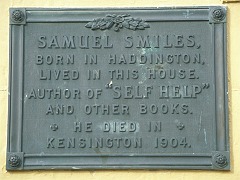 Samuel Smiles, a native of Haddington, developed and published the idea of self-help in 1859. He used the term to describe what might now be known as 'life long learning' and 'citizenship'. He considered the idea from an individual's interaction with a whole range of organisations and activities, some of which were of considerable antiquity and others of which were Victorian innovations. Friendly societies were one of the best examples of his idea. Lots of different affiliated societies opened, each with attractions that appealed to different sectors of the population. The second half of the 19th century was the heyday of affiliated societies. 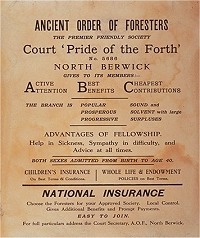 Around Edinburgh, the Lothians and Fife there were hundreds of lodges belonging to the Order of Oddfellows, the Foresters, the Shepherds, the Free Gardeners and others. 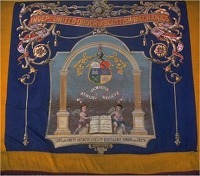 Many organisations and even workplaces opened fraternal societies, including some that were the forerunners of trades unions, like the Independent Order of Scottish Mechanics. Moral welfare was catered to through the Rechabites, Good Templars and others. Most societies had halls or institutes where keen improvers could attend lecture courses or simply access knowledge. The members of the new affiliated societies participated in the campaigns of their time. Through Reform and Suffrage, which extended the franchise, the self-helping citizen could vote and change society itself.